Cleanse. Exfoliate. Extract. Oxygenate. Lift. Heal. Mask. Protect. 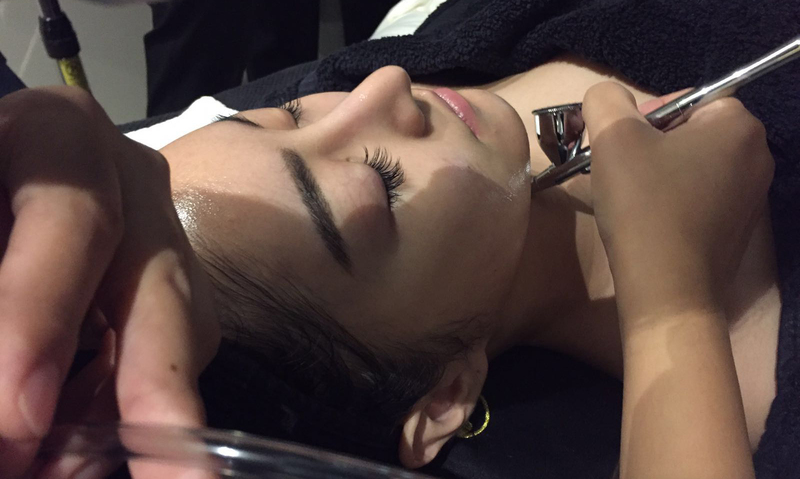 What is the Red-Carpet oxygen facial? A multi-award winning treatment that combines the clinical benefits of the cult favourite Intraceuticals technology with high quality Skinceuticals serums. Designed in-house, this unique protocol infuses pure oxygen, vitamins, anti-oxidants and custom-tailored Skinceuticals serums to the inner depths of your skin. 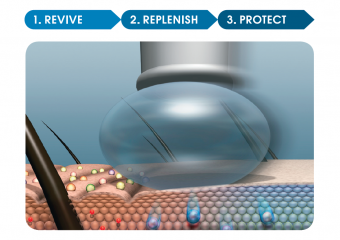 The airbrushing technique ensures that essential nutrients are layered systematically and gently. The result is an extra boost of radiant glow, porcelain smooth skin that gets you ready for that red carpet event. Made famous by Madonna, the oxygen facial is a favorite not just with celebrities but anyone who desires an instant rejuvenation and lifting for that important event; with an added advantage… its benefits actually do last and one can expect continuous improvement in skin elasticity with repeated sessions. We highly recommend using the Opulence home kit along with your regular Red Carpet facial for the best results. Prepping of skin – at Freia Aesthetics, we never cut corners. We believe that skin must be deeply cleansed and primed to receive the benefits of any treatment and so we achieve this with a thorough cleansing, exfoliation and manual extraction to get rid of clogged pores and blackheads. Relaxation and rejuvenation at its best – experience pure relaxation as a soothing cool oxygen jet packed with serums, vitamins and moisturizers, is sprayed over the entire face systematically and gently; so gentle that many of our clients often leave the stressors of their day and drift off to a power nap. The unique infusion of oxygen into the skin feeds much needed nutrients deep into the dermis. This is also an excellent anti-redness and calming treatment to combat any redness and blotches that come with sensitive skin. Instant benefits of a mini face lift without one – Oxygen plumps up the skin and increases its absorption of nutrients, anti-oxidants and hyaluronic acid, giving it an instant lift. Skin is radiant, smooth, bright and restored to suppleness. A great and natural primer for make-up – forget commercial primers and the use of foundation; after all, great skin is the best canvas for any make-up. The Red-carpet Oxygen facial holds true to this; within one session, skin is noticeably smooth, radiant and make-up effortlessly glides on your face and stays fresh and dewy for hours into the day and night. Choose from a range of bespoke serums to further enhance your Red-carpet Oxygen facial experience: Antioxidant, Vitamin C, Vitamin A or Collagen. What is the booster program? For a further boost of radiance and moisture to your skin, add these serum boosters to your facial for additional benefits and results that can be seen immediately. Antioxidant Booster Serum – acts like a “detox” for the skin. Exotic natural Kakadu Plum from the Australian Rainforest helps fight free radicals and improve the appearance of the dark circles and puffiness. Revitalising the over-worked or travel-wary. Vitamin C+3 Booster Serums – fights for free radical damage and provides a photo-protection. It helps in smoothing, strengthening and protecting your skin with 3 synergistic forms of Vitamins C to benefit all skin types but especially skin with signs of premature aging, irregular tone and sun damage.It brightens and improves the appearance of hyperpigmentation and provides a key co-factor in collagen synthesis for improved skin texture. Collagen Booster Serum – delivers a potent cocktail of collagen messenger peptides to promote skin renewal and rejuvenation to restore volume and tightness to skin that has lost its elasticity, tone and density. It instantly reduces the appearance of fine lines and wrinkles with a visible lifting and tightening effect. It also deeply hydrates skin and helps to enhance skin density and promote firmer, tighter looking skin. Vitamin A Booster Serum – clarifies and refines the appearance of skin prone to blemishes, visible pores, sun damage, uneven texture or deep wrinkles. A new “release on demand” form of Vitamin A increases potency, enhances product stability, reduces irritation and brightens congested skin. Revitalising Eye Massage (add-on) – Close your eyes, calm your mind and drift off into pure bliss as our trained therapists gently massages your eye area. Appearance of puffiness and under-eye bags are reduced and eye area is toned. Suitable for: Dehydrated and tired looking eyes. Options: Antioxidant, Vitamin C, Vitamin A or Collagen. Recommended treatment course: 6 or 10 treatments (90 minutes per treatment) with an at-home treatment kit consisting of hydration gel, contour eye gel, moisture binding cream. Suitable for: Acne prone, oily, saggy, wrinkled, dry or sensitive skin.